A quirky little series about an actress trying to make a living in LA. Seems the only gig available are acting teacher jobs. 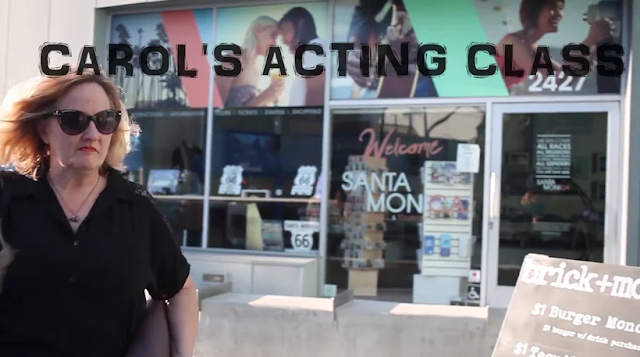 While everyone in the Hollywood community is working up a frenzy due to the array of award nominations and voting, Bernice Breckon of iFlow Productions has released her latest series ‘Carol’s Acting Class’ through social media platforms. ‘Carol’s Acting Class’ is a comedic series that follows the pain and anguish of an over 50 old actress who through desperation to keep a roof over her head has no other choice but to teach international students acting. Breckon is known as someone who “gets it done”. She remembers being told that there is no process to film making. But she totally disagrees. ‘There is a process to everything, it’s about connecting the dots or rather in the film industry connecting the right people to get the job done.’ She makes her Five Step process sound simple and to her it is. All that’s required are teams with specific functions. The creatives, pre-production, production, post and the release team. Bernice Breckon is also known for producing ‘For the Love of Joseph’, ‘Deathly Acquisition’, ‘Fashion Statements’,‘M1 Non-immigrants’, ‘Mary Mary’ and the series ‘The Ukrainian Wife’ due for release at the end of January. She currently has four projects with production dates scheduled in the third week of January as well.